The Journalism program at Lindenwood University is extremely hands-on and experiential. You will study in a classroom and gain real-world experience through Lindenwood's media outlets. Journalism is an ever-changing field. Broadcast and print have been the standard for years, and the emergence of electronic journalism has changed the way news is gathered and reported. The Journalism program at Lindenwood University will prepare you for a rewarding career in an exciting field. You will study the history and ethics of journalism, its guiding principles, and its role in a global society. Whether through print, broadcast, or electronic means, you will learn news gathering and story composition techniques that will prepare you for multimedia jobs. The Lindenwood University Journalism program offers you the chance to study consecutive levels of writing and reporting, in addition to multimedia journalism and technology. You will build your portfolio by gathering news and telling stories through the Lindenwood’s campus media news outlets. The Legacy is a student magazine published throughout the school year by student editors, reporters, photographers, and artists. Currently, the magazine is published 2-3 times a semester and is available at locations around campus. LindenLink.com is an online multimedia news platform combining text, photo, video, and social media to tell stories. The website is student-run, and it’s the online home for news content within the School of Communications, offering you and other journalism students a place to innovate and showcase your work. 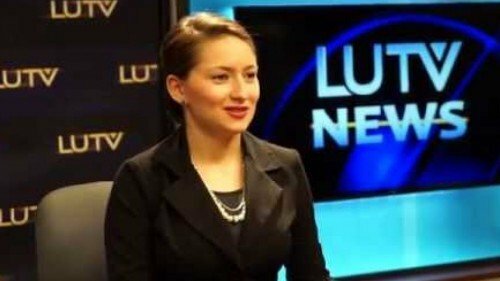 LUTV News airs live three times a week on LUTV’s Charter Cable Channel 989 and AT&T U-Verse. LUTV News covers Lindenwood’s campus and St. Charles County. Students run the show as producers, reporters, anchors, writers, videographers, and technical crew. When enrolled in Super Semester, you will have the opportunity to meet with local broadcast professionals at seminars and lectures held periodically throughout the semester. Because of the immersive nature of the program and the experience you gain, Super Semester participants are often in high demand for broadcast jobs after graduation. Many Super Semester alumni have gone on to jobs as producers, reporters, anchors, photographers, and corporations with a broadcast emphasis. The journalism faculty at Lindenwood University includes experienced writers and reporters who bring years of professional experience into the classroom. Using state-of-the-art equipment and facilities, faculty members create meaningful connections between the theory and evolution of journalism, knowledge they pass on to you, the next generation of journalists. 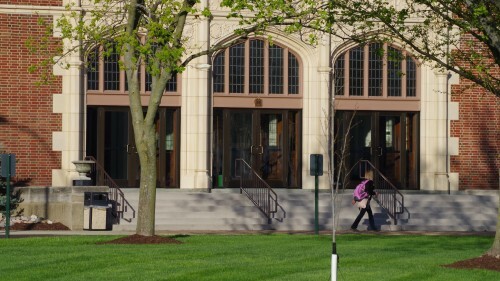 Lindenwood University offers a Bachelor of Arts in journalism. You will complete 69 credit hours of journalism classes in subjects ranging from basic reporting to mass communications law. Other areas include the digital newsroom, editing, video production, newspaper design, television news production and reporting, and online journalism. Your experience will be wide and varied in different areas of journalism, making you a well-rounded candidate for an exciting career. Journalism is a field with several specialty areas with salaries varying widely. Please see the Occupational Outlook Handbook at the Bureau of Labor Statistics website for job outlooks in journalism. Lindenwood University offers a minor in journalism. A minor is simply a secondary academic subject to add to your knowledge, whether it is of professional or personal interest. The minor in journalism requires 21 credit hours. You will study the digital newsroom, basic reporting, online journalism, and mass communications law. You will also have the option of studying other areas, such as feature writing, editing, newspaper design, and investigative reporting. Michelle explains how she started with Lindenwood University's media outlets during her first week of school.